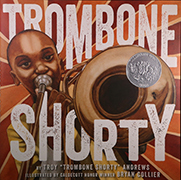 Trombone Shorty, pictures by Bryan Collier and words by Troy Andrews and published by Abrams Books for Young Readers, an imprint of ABRAMS. 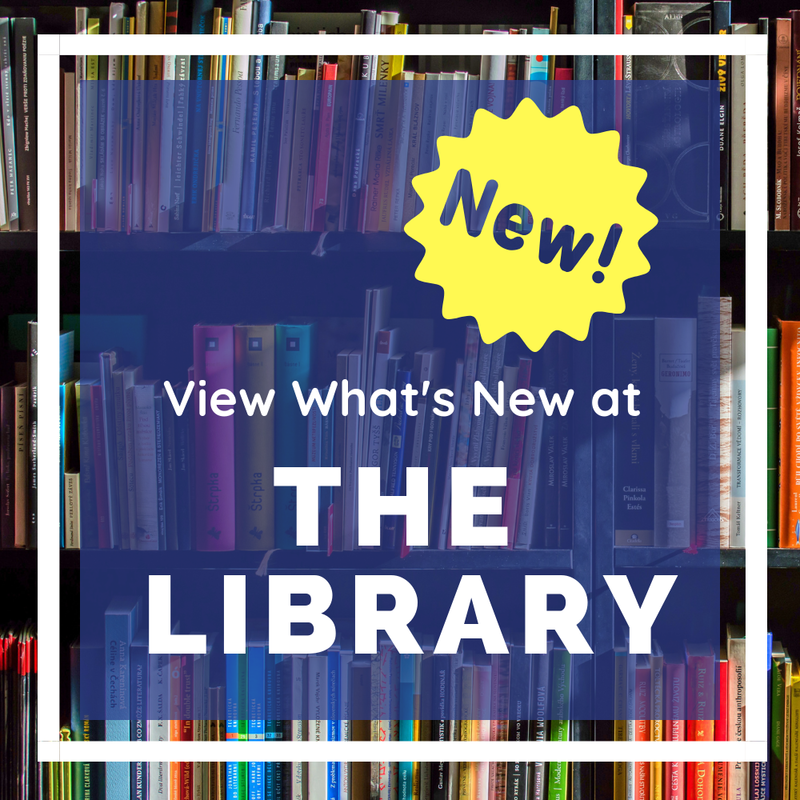 In this autobiography, Trombone Shorty reminisces about his early life in the jazz music scene of his beloved hometown of New Orleans. Through Collier’s paintings and collage illustrations, the story’s authentic, heartfelt tone is masterfully realized. 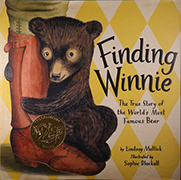 Waiting, illustrated and written by Kevin Henkes and published by Greenwillow Books, an imprint of HarperCollins Publishers. Waiting delivers an intimate story of five figurines, each anticipating the wonder of everyday moments. Using rich brown lines and a soft pastel palette, Henkes invites young readers to slow down and explore a range of emotions in a world on a windowsill. 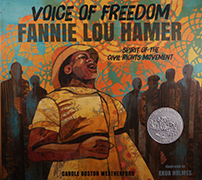 Voice of Freedom: Fannie Lou Hamer, Spirit of the Civil Rights Movement, illustrated by Ekua Holmes, written by Carole Boston Weatherford and published by Candlewick Press. In this biography in verse, Ekua Holmes’ illustrations provide children with an intensely visual encounter with Civil Rights icon Fannie Lou Hamer. The repetition of colors and motifs within the richly layered collage create complex images that capture Hamer’s power and bravery. Last Stop on Market Street, illustrated by Christian Robinson and written by Matt de la Peña, published by G. P. Putnam’s Sons, an imprint of Penguin Group (USA) LLC. Readers are transported, along with a young boy and his grandmother, on a journey through the city. Robinson’s illustrations, a colorful mix of acrylic paint and collage, feel both vintage and fresh. The diversity, vibrancy, and beauty of the urban setting are celebrated as CJ and Nana share meaningful moments together.